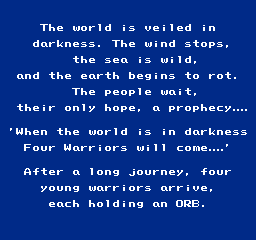 A modern reworking of the ugly Capitalized font used in Final Fantasy while keeping all the graphics, names, items, magic and everything else the same. 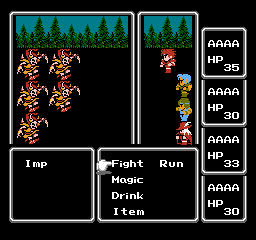 This hack reworks the game as if Square had of made the game using a decaptilized font such later games used without changing the text. 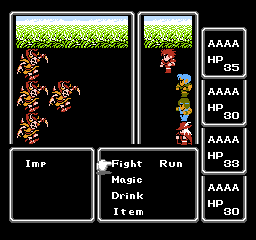 People that want to experience the original game, with all graphics and everything unchanged, as if it were like later Final Fantasy’s will find use of this hack. 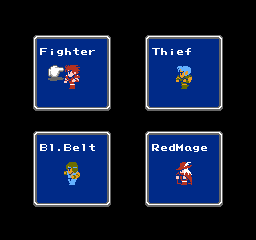 Also included some small standalone extras that will add features to this or any other hack. 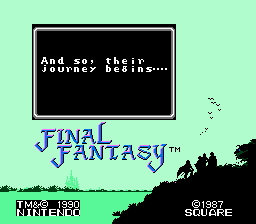 The title screen has been left capitalized. The one change the author did make other than decapitalize was to change the spells like (ALIT) to (xLit) because ALit is unapealing to the eye.